A police agency in rural North Carolina is asking federal regulators to investigate a driver’s claims that the Lexus he was renting took off by itself before crashing into eight vehicles. Giles Troy Page Jr, 83, was traveling to his vacation home in Boone, North Carolina, he told local police, when the engine on his rental surged as he approached a red light. “When I mashed the brake, it wouldn't stop. It wouldn't slow down. And actually, the engine accelerated,” Boone Police Department Lieutenant Danny Houck tells ConsumerAffairs, relating the story that the driver told him. Page hit eight vehicles until a final impact with a Chevy Truck sent the Lexus on its side. He was reportedly transported to a local hospital and later released without serious injuries. Boone Police declined to issue him any citations. Johnson Lexus, the dealership who rented out the vehicle, later told police that their review of black box data showed the car did not have anything mechanically wrong with it that would have caused it to accelerate by itself, Houck says. However, Boone Police were not able to inspect the car’s black box data themselves, even though Houck says his department is capable of doing so. “Lexus asked us not to,” he tells ConsumerAffairs. Houck says that the Lexus dealership expressed concerns that police could accidentally corrupt or erase the files on the car’s computer. Regardless of whether Lexus provided a correct reading of the black box data, Houck says he is concerned that the black box may not have captured Page’s attempts to brake, if the brakes were indeed failing as he claimed to police. “On a Lexus, your brake pedal isn't attached to a pedal, it’s attached a computer. So if the computer is not reading input from the driver, it's not going to be in the black box,” he adds. While Lexus claimed that it found nothing wrong with the vehicle (besides it being totaled as a result of the crash), Houck said he wants the National Highway Traffic Safety Administration (NHTSA), the agency that investigates consumer complaints about vehicle defects, to look into the accident. California Highway Patrol Officer Mark Saylor was also driving a rental Lexus when, in 2009, his brother-in law called 911 from the backseat to report that the vehicle was accelerating unprompted and would not respond to the brakes. Moments later, the car, going as fast as 120 miles per hour, slammed into a Ford at the dead end of a highway, sending the Lexus flying into the air and into a dry riverbed, where it burst into flames. All of the vehicle’s occupants died at the scene. The public release of that 911 tape led to what became known as the Toyota sudden unintended acceleration scandal, which finally ended in 2014 when Toyota paid a record $1.2 billion fine to the Department of Justice. As part of the investigation, Toyota recalled millions of vehicles for what it described as sticky accelerator pedals and ill-fitting floor mats, problems executives later admitted that they failed to correct in a timely manner. 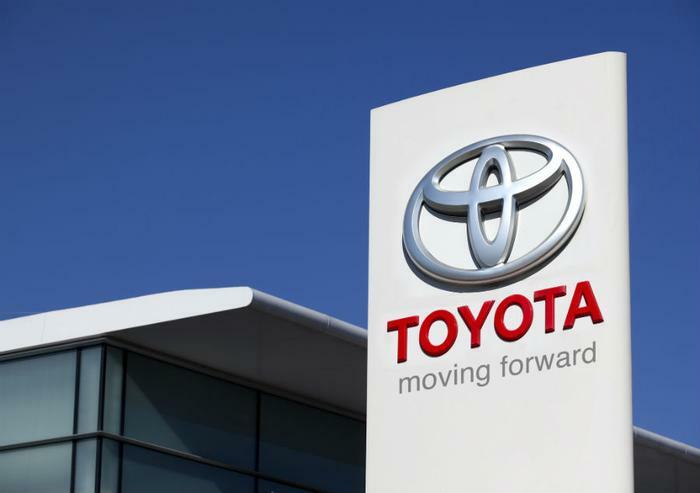 The feds were eventually satisfied, determining that Toyota’s massive recall and subsequent Department of Justice settlement had solved its unintended acceleration issues. But a whistleblower who contracted for Toyota executives as a company translator, as well as numerous engineers and personal injury attorneys who have sued Toyota, alleged that Toyota failed to address the root cause of the problem, which they say could be a defect in the car’s computers, as ConsumerAffairs detailed in a story last year. Drivers who claim that their cars took off unprompted typically do not have the sympathy of law enforcement officers. Last year, Boston cab driver Lutant Clenord jumped a curb, knocked down a bench, and injured several coworkers with his Toyota Prius. Clenord maintained in interviews with local news and with the local police that his vehicle took off by itself and would not respond to brakes. Police, though describing the case as a “tragic accident,” later determined that operator error caused the crash and charged Clenord with operating to endanger. This baffled other cab drivers who felt that Clenord should not have to face criminal charges for what was either a vehicle defect or a horrible mistake. “In most cases the police have not considered the possibility of the car is at fault. They automatically blame the driver,” Carnegie Mellon engineer Phil Koopman, who has testified in lawsuits against Toyota, told ConsumerAffairs at the time. “There are a large number of vehicles [with the defect] that Toyota never did anything to,” Koopman added. Toyota, like other automotive companies hit with sudden acceleration complaints, has maintained that there is nothing defective with its software or computer technology that would cause cars to simply take off on their own. Houck, the police lieutenant, said that he is familiar with Toyota’s previous sudden unintended acceleration controversy that made national news. He says he has no proof that something went haywire in Page’s rental Lexus car -- ”I don’t want to slam Lexus,” he adds -- but he simply wants an independent third-party to investigate further. Another reason for his concern, he says, is that a former Lexus owner, a woman in Virginia, contacted Boone Police to share her own story about a Lexus that took off by itself, causing her to hit three cars in a Lowe's parking lot last year. Diana Kegley came across the story from Boone on the internet. She then told Boone Police that her Lexus GX460 took off in March 2017 as she was about to park. Kegley, who also filed a complaint with NHTSA describing the crash, tells ConsumerAffairs that she hit two parked cars before a final impact with a third parked car brought her Lexus to a stop. A tow truck driver took the car to a local mechanic, where she says the shop owner was instructed by Toyota not to touch the black box data, citing concerns that he could corrupt the car’s files. Toyota later determined that she had accidentally pressed the gas pedal at 100 percent, Kegley recalls. She maintains that her foot was on the brake. Kegley refused to drive the car afterward and traded it in. In the glovebox, she says she left a note warning future owners about the defect she believes she experienced. "We never want Toyota products again,” she says.